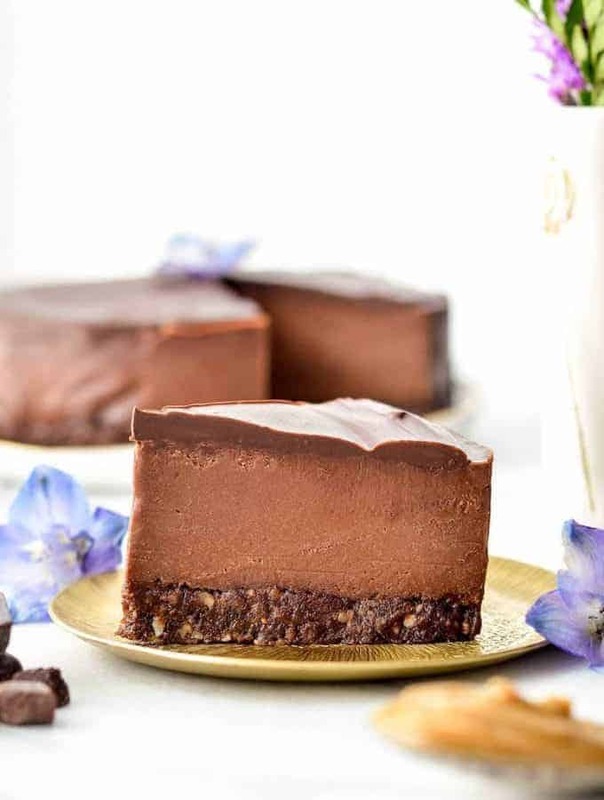 This No-Bake Vegan Chocolate Peanut Butter Cheesecake recipe is a healthy yet decadent dessert! Gluten-free, dairy-free, vegan, and paleo-friendly! 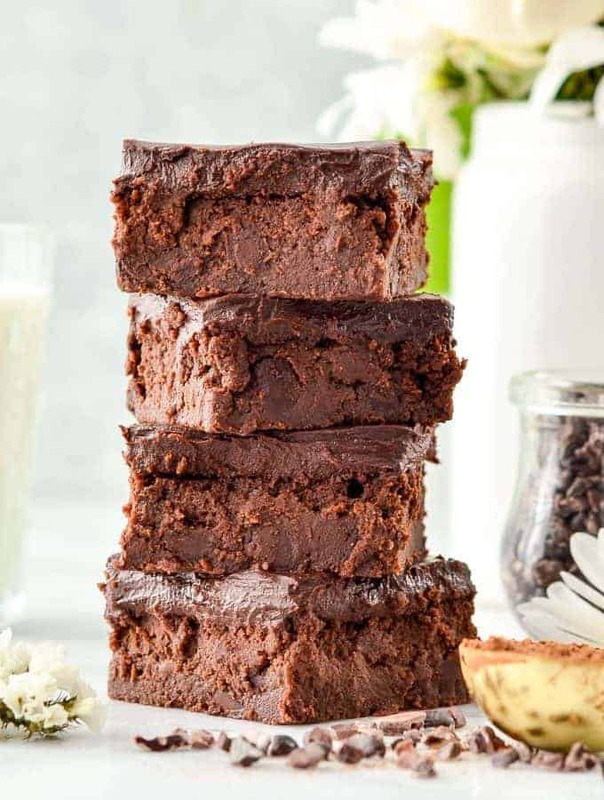 Healthy Greek Yogurt Brownies with Chocolate Ganache are so fudgy and delicious that no one ever suspects they’re healthy! Gluten-free & grain-free! 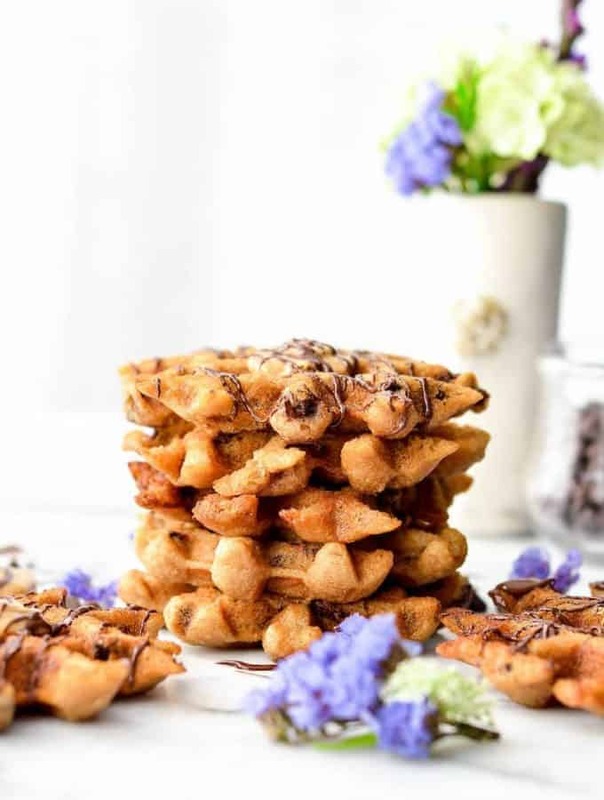 These Peanut Butter Waffles are gluten-free, grain-free and ready in 10 minutes! An easy, healthy breakfast recipe that tastes JUST like a flourless peanut butter cookie but no oven required! 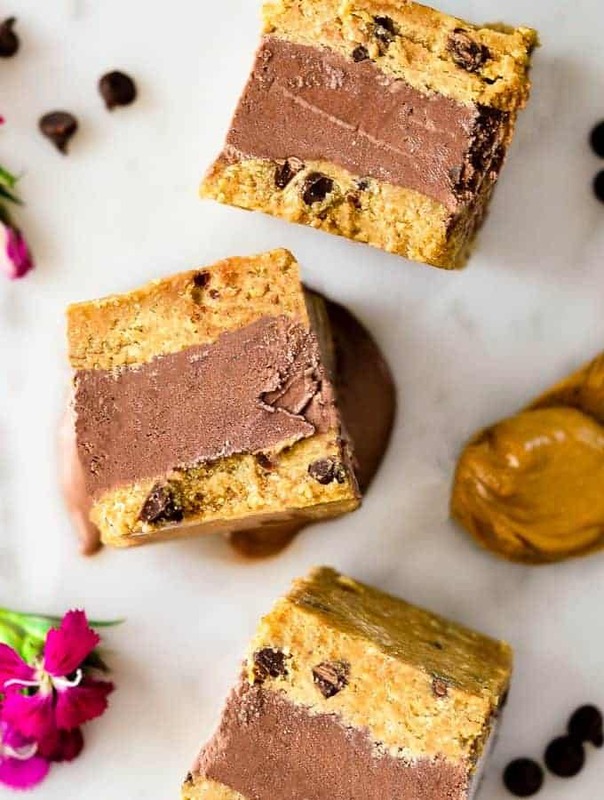 Vegan & Gluten-Free Peanut Butter Cookie Dough Ice Cream Sandwiches are a healthy summer dessert! This no-bake recipe is so easy to make and perfect for chocolate peanut butter lovers! 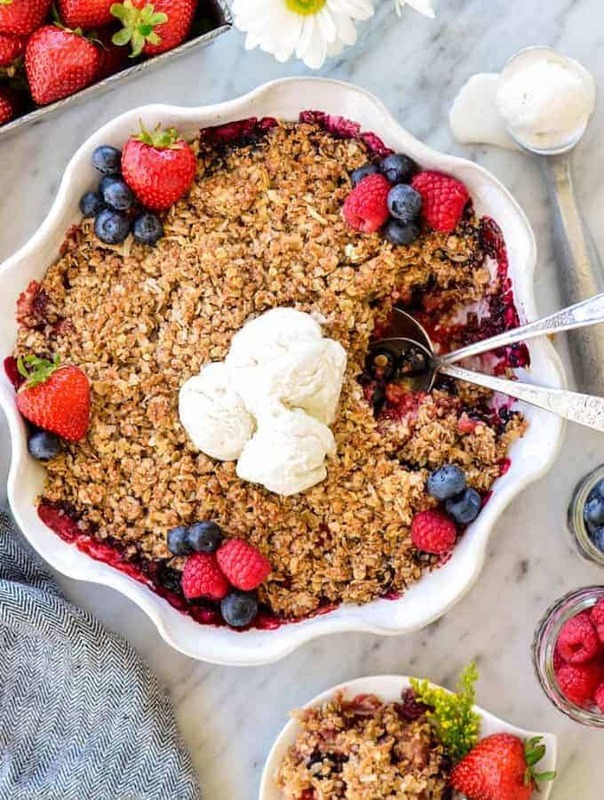 This Healthy Berry Crisp Recipe with a Coconut Oat Crumb Topping is a delicious summer dessert recipe! 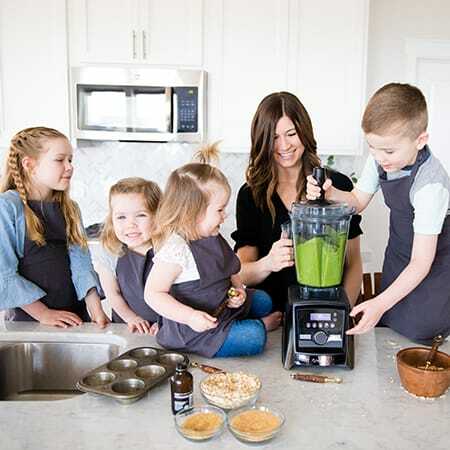 It’s vegan, gluten-free, dairy-free and has no refined sugar but no one would ever guess that it’s healthy! 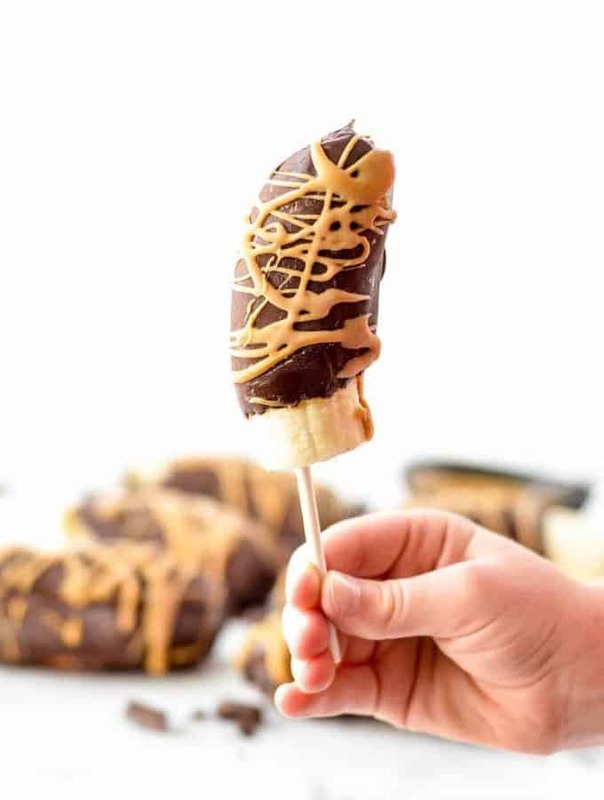 Frozen Chocolate Covered Bananas with Peanut Butter are an easy, 3 ingredient dessert! They are a perfect healthy treat for a hot summer day! Vegan, gluten-free and dairy-free! 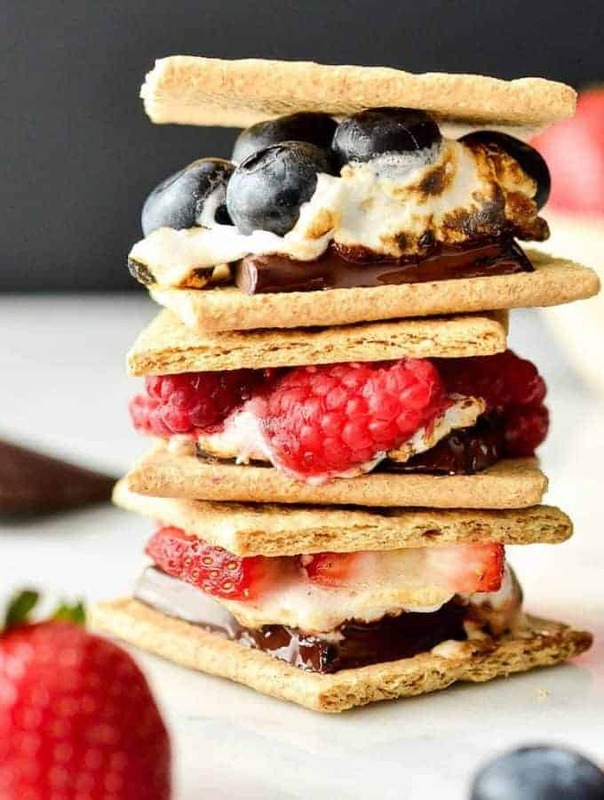 These Dark Chocolate S’mores with fresh berries are the perfect, easy summer dessert! Great for your 4th of July celebrations and bonfires! Vegan and gluten-free options! Fresh Strawberry Pie from Scratch! 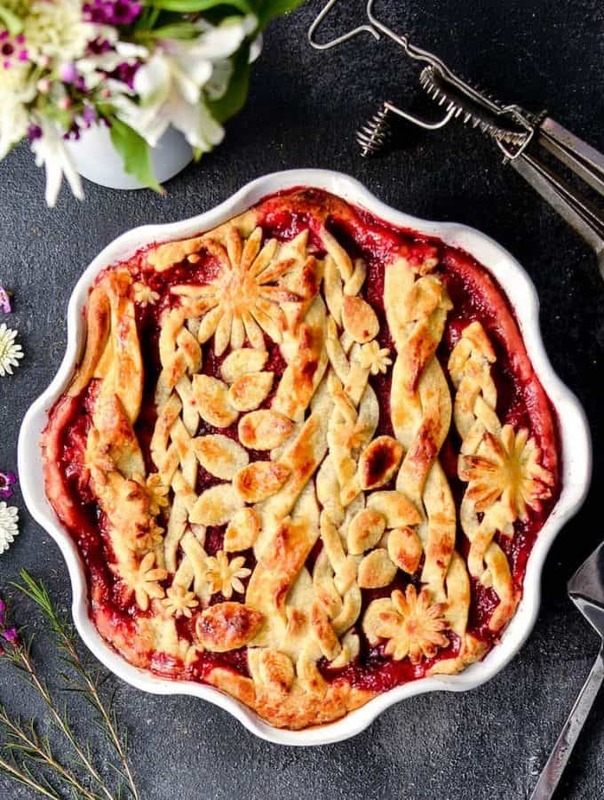 A fresh, made-from-scratch strawberry pie that is low in sugar! The natural flavor and sweetness of the strawberries really shine in this delicious dessert!